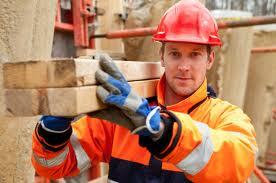 In a General Labour role you will be very hands on. General Labour could include manual labour working outside, sweeping up, cleaning, fixing things, working inside doing duties similar. Where ever the setting your work is to be done you will be on your feet working and mending and sorting things out each day. You may be working on your own at someone’s house or you could work at a school or hospital setting or for a business maintaining grounds etc. An interview for this kind of role will be purely focused on what tasks you have done in the past and how enthusiastic you are towards doing such roles as there are always tasks that are rather unpleasant and not what someone wants to do as their first choice so your interviewer will want to be sure that you are going to stick it out no matter how difficult. It’s always good to be prepared for your interview whatever the role you are trying to get. If it’s an interview then you should be ready for it. You wouldn’t consider a Labour interview is a serious one but if they are going to ask you some questions then why not be ready and nail it. What duties have you enjoyed doing in previous roles? What has been the hardest task and why and how did you tackle it? Are you used to working on your own or as part of a team and what do you prefer? How do you feel about working outside in the bad weather? How good are your DIY skills and how quickly do you learn new tasks? There are numerous questions more focused on a specific establishment but it gives you an idea on some of the things that you could be asked. Your interviewer will be looking to assess if you are able to work on your own for long periods of time depending on the company and set up and that you handle being outside in sometimes awful conditions maintaining and repairing and general tidying of the area. You will need to be very responsible and have a good work ethic to do this role well. Good luck for your big day and let us know how it went via form below.